Construction on the lighthouse began in 1847. The structure has lasted, in use, for nearly 160 years. 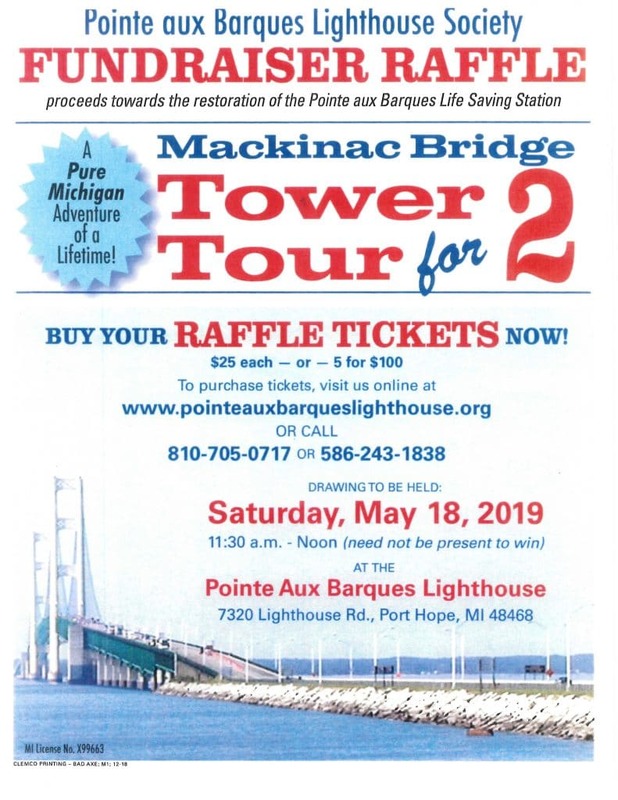 Since 2002, the Pointe aux Barques Lighthouse Society (PaBLS), has worked to restore and preserve the light station and museums. 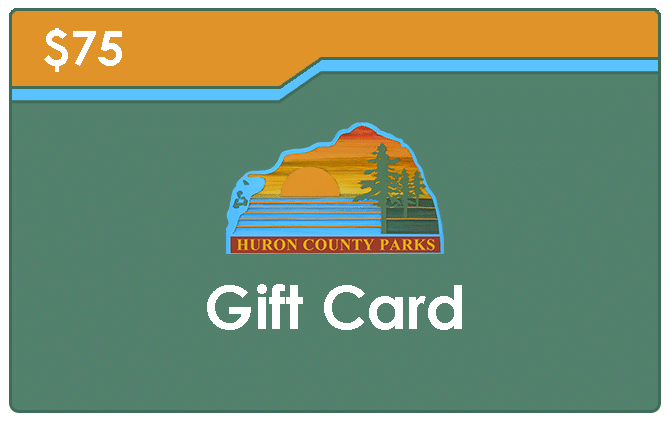 For your convenience, the park has made every effort to provide Wifi services. Unfortunately, the trees and other obstructions cause the Wifi signal to be disrupted and therefore not reliable. You may want to consider direct internet service to your camping unit from an internet provider. Are there showers and bathroom available? Lighthouse Park features bath houses with showers and flush toilets. The showers cost 25 cents for 3 minutes of time. What comes with the campsite? Each site has a fire ring (without a grate for cooking) and a picnic table. Do you sell ice and wood? Yes. We do sell ice and wood (must pay with cash or check). 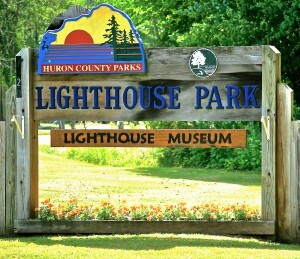 Want to have your wedding at Lighthouse County Park? Contact our Wedding Coordinator. Lighthouse Park has six Cabins available for rent. All cabins have heat and electricity. Campers are responsible for bringing all personal belongings and linens. A picnic table and bonfire ring are available on each site. 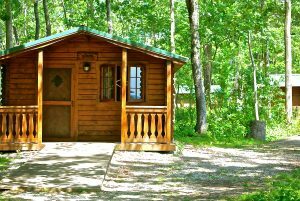 Rustic cabins do not have running water. Multiple bathrooms and water stations are located throughout the park. 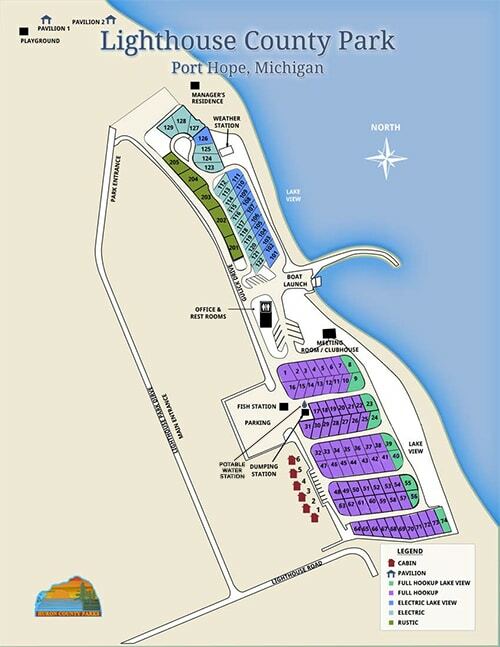 Take a look at the Lighthouse Park Map below.